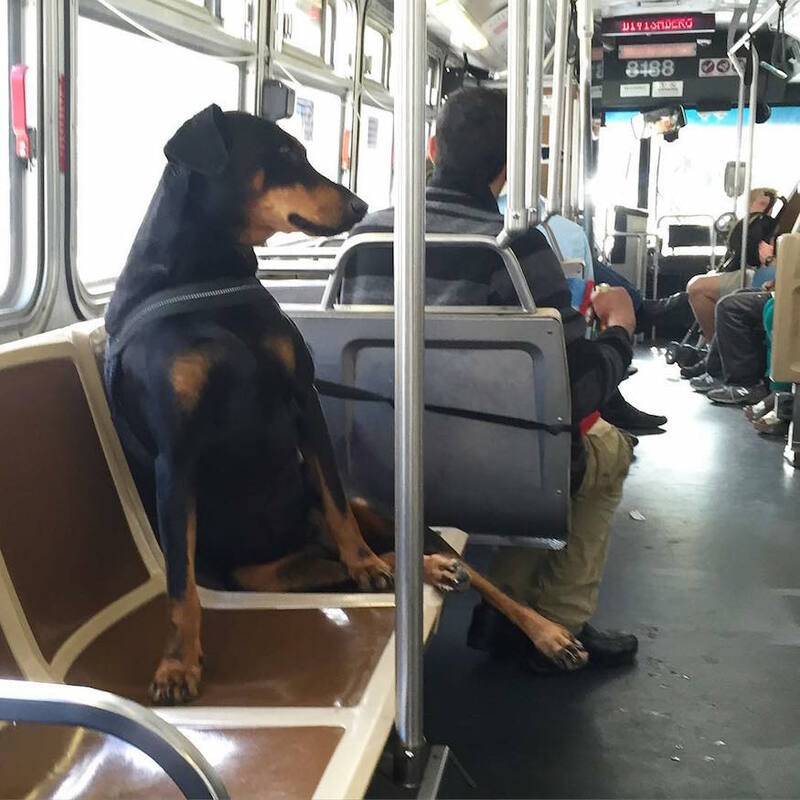 Add: Drape your leash gently over your shoulder toward the direction of your human, taking care that there is enough room between you and his seat. Thanks @thrifteye for this Muni moment. Here are all the amusing moments from the Muni zoo. Got yours? We’re only one tag away on Instagram. Wave hello at #munidiaries. Who’s a good dog? You are, yes, you are, just the goodest dog!